Become your pet’s best friend when you bring home a crinkle toy that you made! 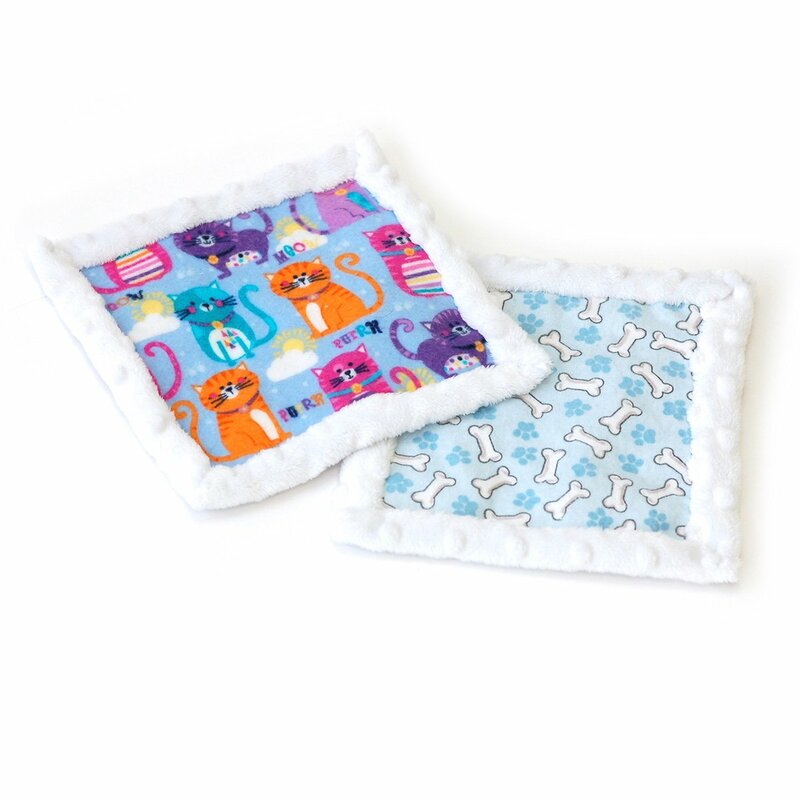 This fascinating crinkle material makes a satisfying sound that will intrigue any cat, dog, or child, and will make a perfect toy when sewn together with soft flannel fabric. This class will walk you through learning to line up your material, sew through multiple layers of fabric with a sewing machine, and hand stitch the blanket binding. Some experience in either hand sewing or machine sewing is helpful, but not necessary. This is a great project for all ages! Materials Included: One 2-hour session, crinkle material, thread and needle, and a one-time 10% discount coupon for in-store merchandise (excludes classes). Requirements: Two 16" x 16" square pieces of fabric in the print and material of your choice.